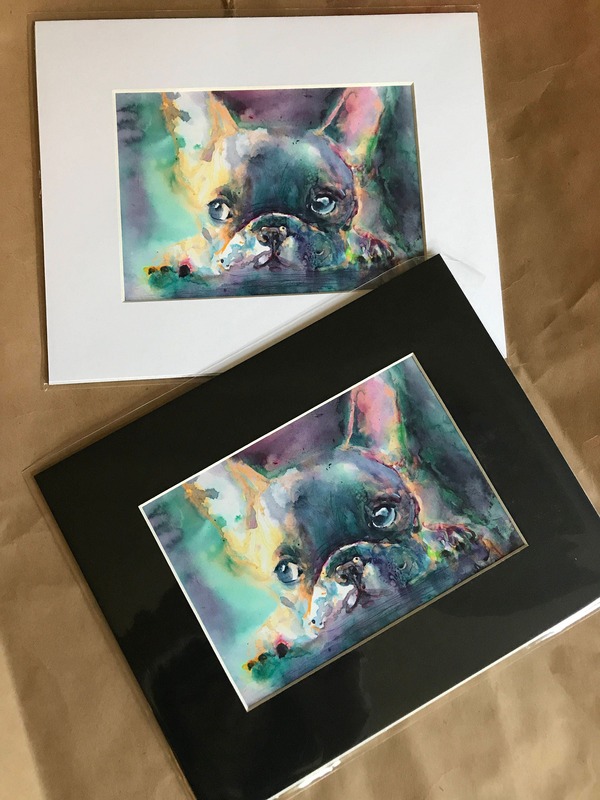 I'm so excited to introduce my new Power Pups Series of original watercolor & ink paintings and fine art giclee prints! Inspired by my life long love affair with dogs, this series of paintings is an exploration of each dog breed's unique and endearing personality. 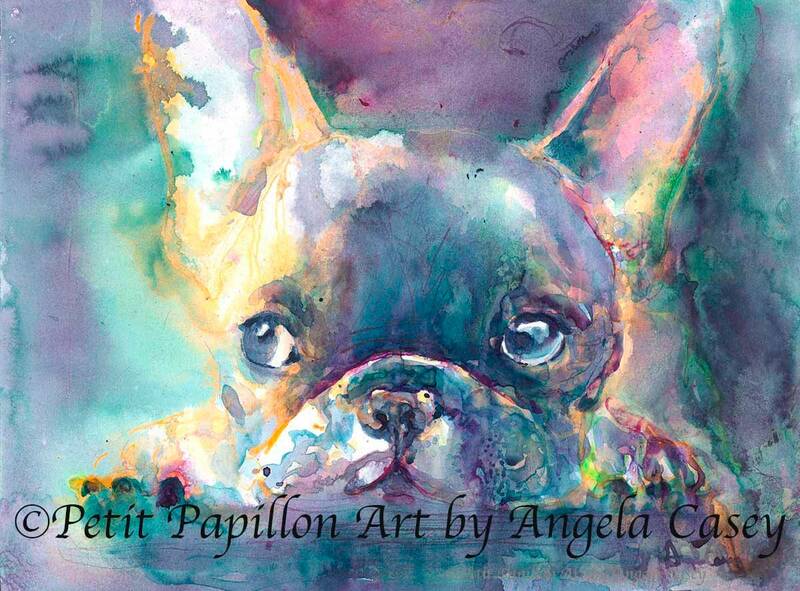 🐾 "Frenchie Power" is an archival fine art giclee print from my original ink & watercolor painting. Affectionate, playful and easy-going, this non-sporting breed is always up for a good time. The Frenchie brings her enthusiastic good humor to any party. 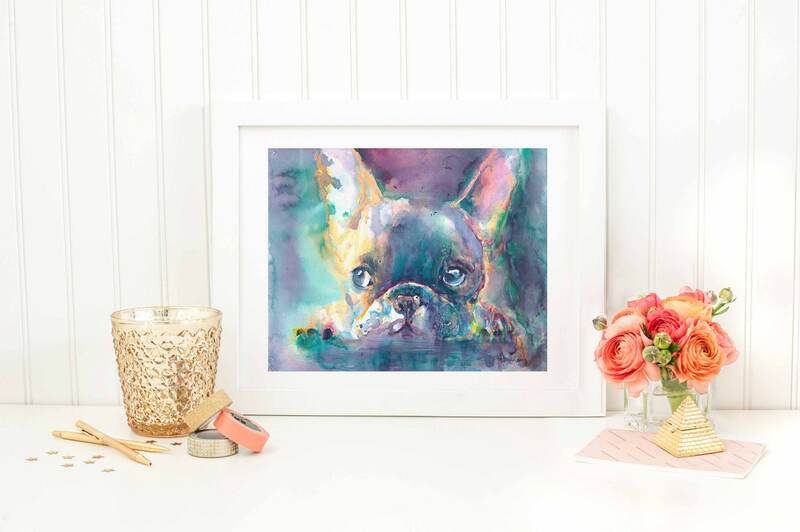 Couple that with her friendly and curious nature and life is never dull with a French Bulldog around! *Hand signed on the front & signed and dated on the back.